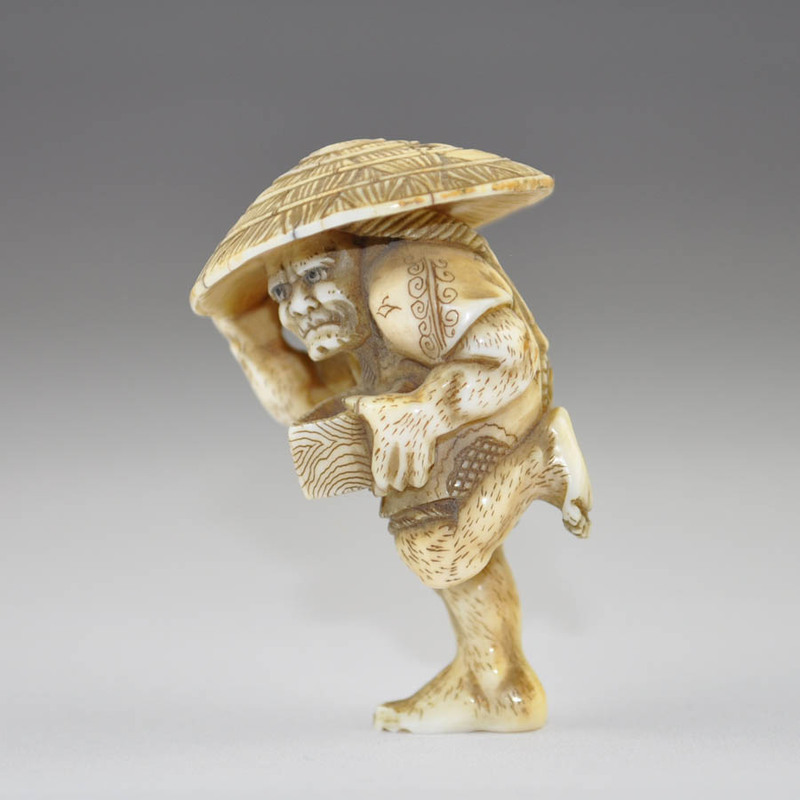 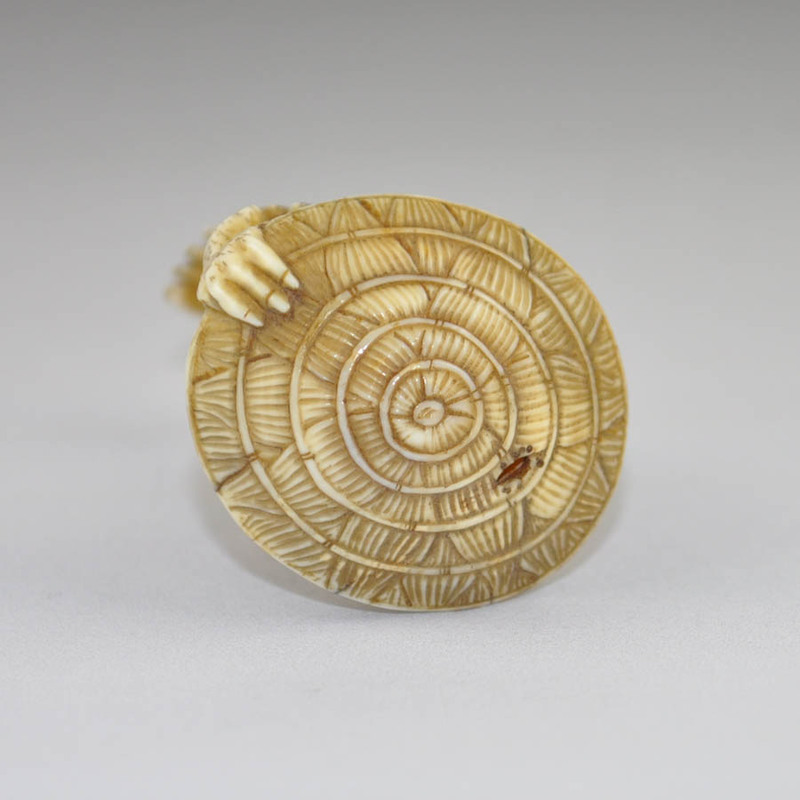 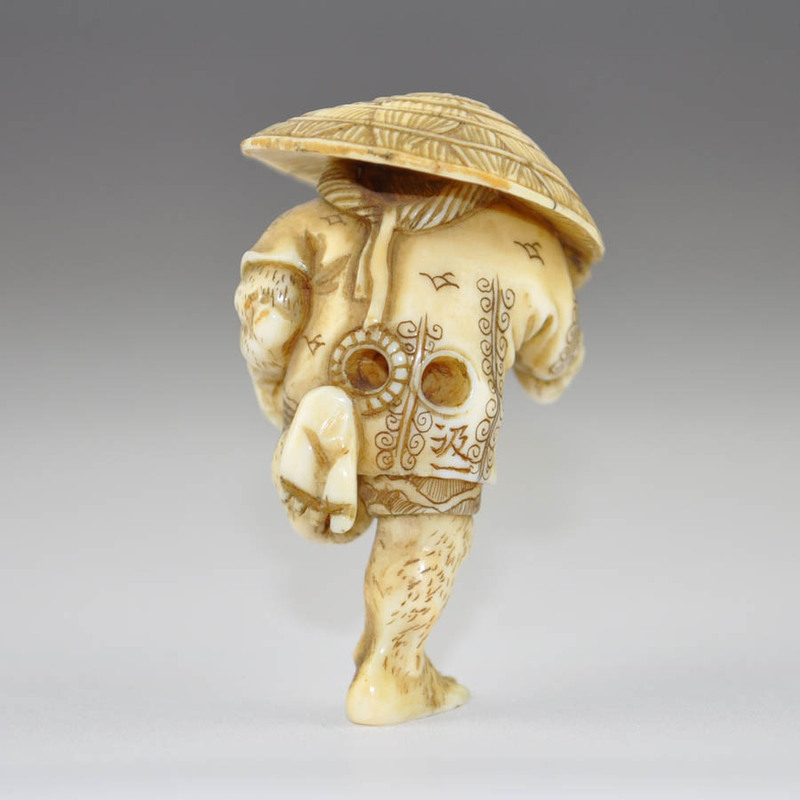 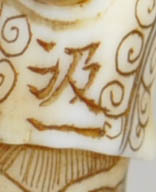 Ivory netsuke depicting a Oni (demon) fleeing holding a big hat on his head and a box in his hand. 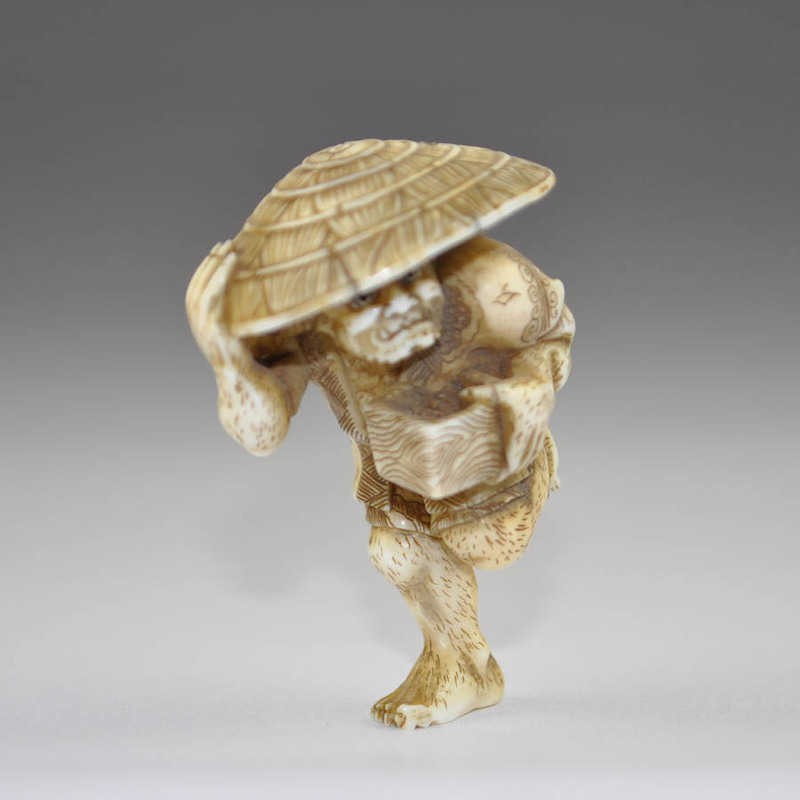 The subject is particularly humorous, the hat belongs in fact to Shōki, the Demon Queller, and the box contains the roasted black peas (kuro mane) used to drive the demons off the first day of the year during the exorcist ceremony momijigarai. 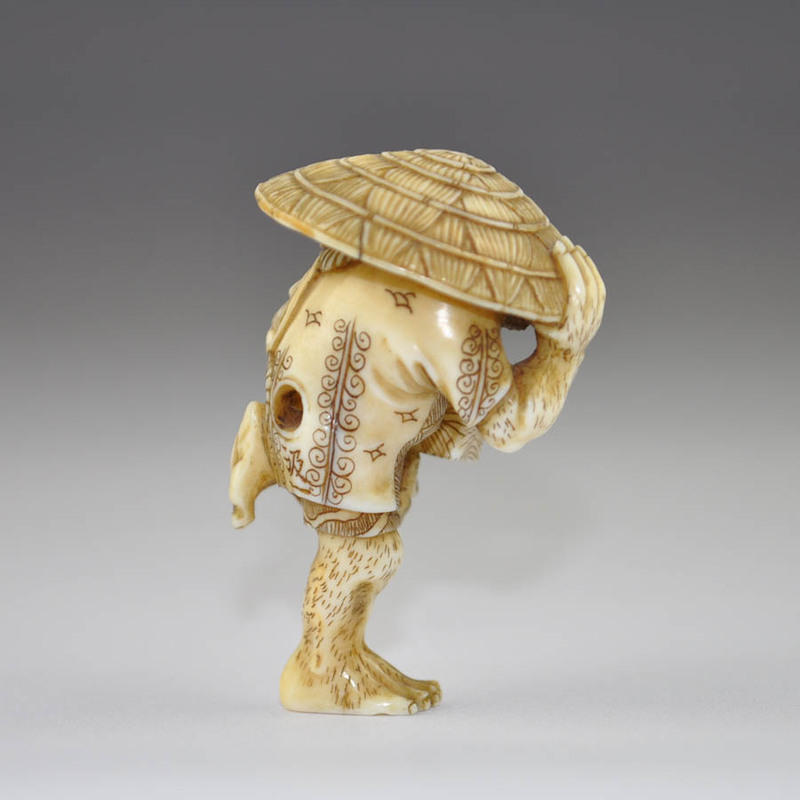 The netsuke is perfectly balanced on one foot.